The Science Department invites you to attend the 3rd Annual Biology Program Fall Colloquium. 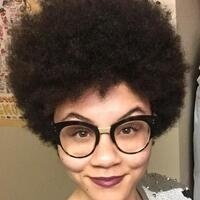 Guest speaker Avory Brookins, Environment Reporter for Rhode Island Public Radio, will present "Life Outside The Lab: Where Science Meets Journalism." Every day, science writers have to determine the best way to inform their audience about complex things. But there's more to it than just typing scientific jargon onto a page. Rhode Island Public Radio's Environment Reporter, Avory Brookins, will share how she reports on different topics, such as climate change, fishery management and renewable energy, to make them easier to understand and relatable to her listeners. She'll also discuss what makes the career challenging, interesting, rewarding and even lots of fun!